Comments: This was the only image that I took through the Intes during my visit to Les Granges. 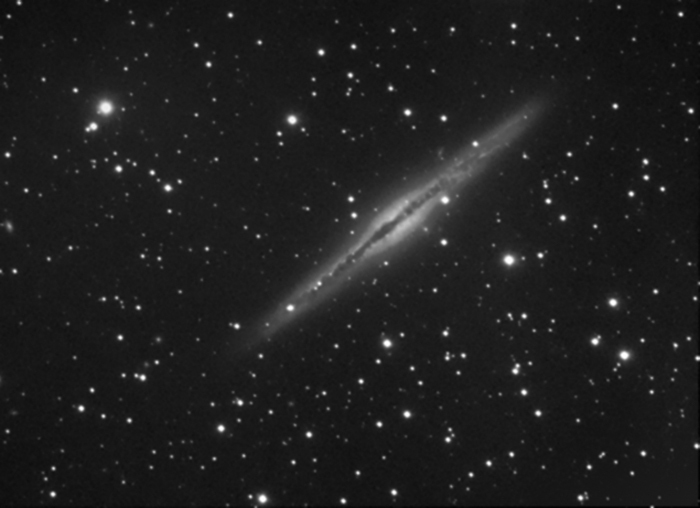 I'm pretty pleased with the outcome the dust lane shows good detail and there are one or two other faint galaxies if you look closely. I will try and get some RGB data for this from the UK.